Throughout my professional career, I have been afforded the opportunity to learn a lot about the inner-workings of both P&C and Life insurers. The insurance industry has a consortium (ACORD) that produces a widely adopted business capability map that many insurers leverage as part of their enterprise architecture practice. There is goodness in insurers collaborating via consortium and producing artifacts together. However, I have come to appreciate that many insurers may be guilty of taking industry approaches and using consortium artifacts as-is without customizing to their needs (cut-and-paste architecture). Each company has its own DNA. Enterprise Architects that layer generic approaches on top of business strategy aren’t helping their enterprises truly understand what capabilities they need to focus on but rather are simply using cut-and-paste techniques to classify current state needs. This cut-and-paste practice can be witnessed in application portfolio management tools to even one-page strategy documents. Another behavior, I have observed when it comes to leveraging off-the-shelf frameworks is when EA teams expend energy trying to understand why they do not fit the “reference” of their chosen “framework”. For those who are currently going down this path, I encourage you to spend more time developing deeper understanding of your organizations’ DNA that understand generic frameworks. Whether it is the first or second observation, I have also noted confusion between understanding a business capability and a business function. 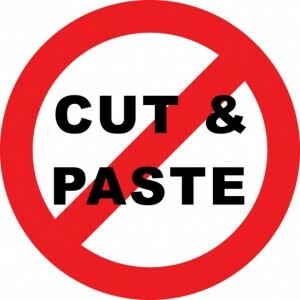 Enterprise architecture teams who use cut-and-paste methods tend to struggle with demonstrating their value. This happens when there is a lack of understanding of the essence of the framework you are trying to use and/or understanding of how your business works. Let me be clear. There are no quick fixes, but through hard work and disciplined approaches, enterprises can see the error of their ways and increase their value proposition by moving away from these practices towards genuine business capability modeling.